With a new granddaughter comes plenty of opportunities for cute onesies! 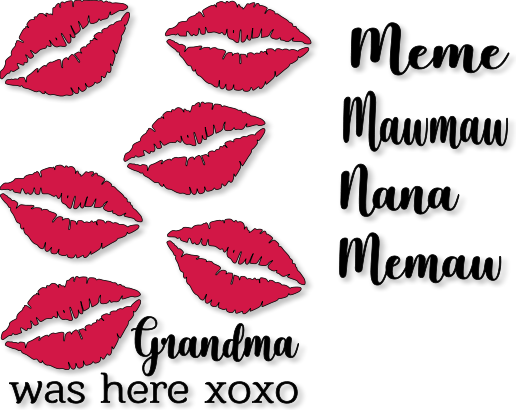 The SVG file has 5 nicknames for Grandma, including Grandma, but if you go by another variation just shoot me an email using the contact form and I will be happy to send you a version using your nickname. Thank you sooo much Teri!! You’re the best!! I would love to make this with Gigi Thanks for sharing your files!! Hi Karla! I just emailed you the file with Gigi added. I will try to get Granny added this weekend.